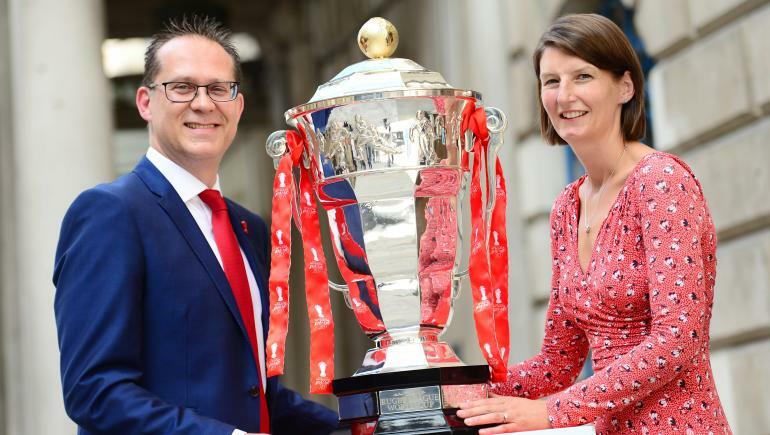 Organisers of the Rugby League World Cup 2021 (RLWC2021) are seeking a partner to help measure the impact of the tournament’s legacy programme. Working with the RFL, UK Sport, DCMS and Sport England, RLWC2021 say they have created a variety of projects designed to empower and inspire individuals and groups in communities affected by the tournament, which is being held predominantly across the North of England. Read more from RLWC2021 Chief Executive Jon Dutton here. The projects range from community-focused schemes such as ‘mental health and wellbeing initiatives’ and ‘educational resources’, to internationally-driven programmes. Jon Dutton (pictured below) said: “The Legacy Impact Evaluation is a significant piece of work for us. It is vital that we measure the impact of our work, particularly around making a positive impact on people’s lives. England will welcome nations to the 16th Rugby League World Cup, where for the first time the men’s, women’s and wheelchair games will be played concurrently. Following the publication of the Legacy Impact Evaluation Request for Proposal (RFP), the chosen partner will be secured on a long-term contract to undertake an evaluation of the impact of the legacy programme that will measure effectiveness before, during and after the tournament in 2021. Information about the opportunity and process for prospective partners can be found at www.RLWC2021.com/procurement.